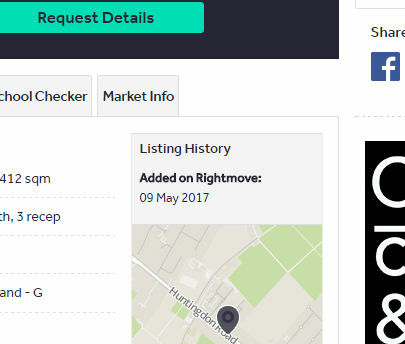 Rightmove is great. It’s the best website. It really is. The best. (That impression works better in real life than on paper, it’s supposed to be that Wotsit-coloured chap from America with the odd handshake). Every agent puts their houses on Rightmove in perfect detail for all to see, it even emails you instantly when something new comes up that suits your criteria. I’ll regularly get a phone call from an excited house-hunter within minutes of sending a property over to Rightmove wanting to book a viewing. 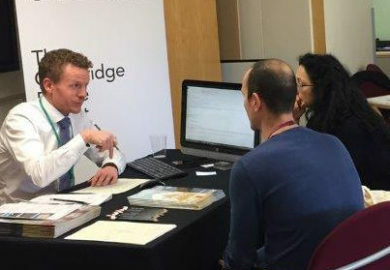 It doesn’t have a monopoly in the property searching stakes, but last time I saw stats it was over twice as busy as its nearest rival Zoopla, so it’s a massively important part of what we do as estate agents and we have to look at how Rightmove works when we choose how to market our properties. For example, we used to put houses on the market at £499,950, because that looks cheaper than £500,000. We don’t do that now because if someone chooses £500,000 – £600,000 in the drop-down menus on Rightmove then a house at £499,950 doesn’t show up, whereas at £500,000 exactly it shows up in both searches up to £500,000 and searches £500,000 and over. I suspect we weren’t fooling anyone at £499,950, but you get the point. It simply shows the date a property was first put on the site. That’s all. And never before has so much been read into such a small piece of information by so many. Knowing that something has been on for a couple of months is enough to terrify the nervous buyer. “Everything in Cambridge sells fast, so what’s wrong with this one? It must be rubbish, I’m not even going to see it.” Is what I imagine they say to themselves. Even if they can’t see what’s wrong with it, they’re convinced there must be something, something obvious to other people that isn’t to them. The problem is that there is often a very genuine reason why something appears to have been for sale for a while. 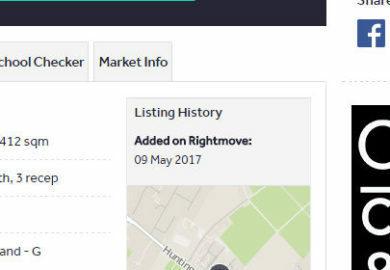 For example a property that shows as being added 3 months ago might have been initially sold quickly, but then the buyer got eaten by a crocodile whilst fishing in Thriplow and so it went back on the market. So initially it sold in 2 weeks and in reality has only been back on the market 1 weeks, but that blasted date says it’s been for sale for 3 months and that is powerful enough that many buyers won’t even ring to talk about it. Or maybe will ring, but won’t believe the whole crocodile story when I tell them it, after all estate agents mainly lie about most things as I’m sure you know. And what for? To give potential buyers an insight to how popular something is? So what? Why does it matter? How is that information actually useful? Why would someone want something more just because other people want it to? But that’s how our minds work, if other people want something it must be great, if they don’t it must be awful, even if you don’t know why. I’m sure Gola made perfectly good tracksuit trousers in the 90s, but you wouldn’t have caught me wearing them. I bet there’s a name for it in psychology. Does it sound like I’m whinging a bit? I’m not actually, this is never a whingey column, it’s informational. I’m telling you all this to help you, because some of the best purchases are the ones that have been for sale for a while, ones that are the unfortunate victim of Added on Rightmove. If you can overlook that date and judge a property purely on its merits you might just get a better deal than if you get into a bidding war on the house everyone wants just because Rightmove says it was added two days ago. So get the Tippex out, cover up that bit of your screen where the date appears, have faith in your own judgement and you just might snag a bargain by avoiding the competition. It’s my top tip for Spring 2017. That and to not go fishing in Thriplow until you’ve at least exchanged contracts. It’s an opportunity. And a challenge. Cambridge is an expensive place to live. But we sometimes forget what a challenge this can be if you’re moving here from elsewhere. I was recently invited to go to Leicester. I’ve been there before, to the National Space Centre (if you haven’t been, do, it’s good), but this time it was to go to the Medical Research Council’s Toxicology Unit. Not because of anything sinister, I’m very clean living nowadays, but because in a few years it’s closing in Leicester and moving to Tennis Court Road, right in the middle of Cambridge. It’s an obvious thing for them to do, Cambridge is full of scientists and so recruiting is easier, it’s full of similar organisations so the sharing of knowledge is easier and it’s known across the world so the kudos of a Cambridge location is valuable. The only awkward thing is the 100 or so people who currently work there. 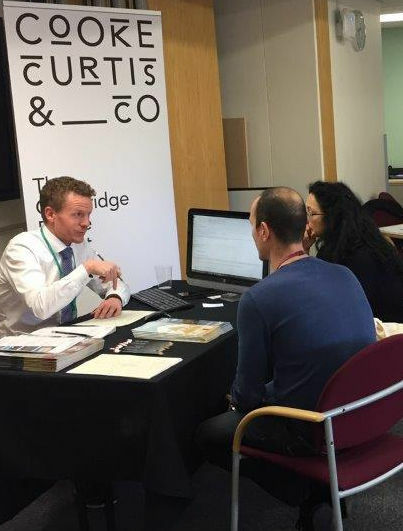 The purpose of my visit was to help those staff understand the Cambridge property market and how that will influence their relocation. The first person to sit down at my desk lived in a 5 bed 1930s semi in a nice Leicester suburb 3 miles from work and 2 miles from the centre of Leicester. They currently drive to work in about 10 minutes. They asked what a similar property in Cambridge would cost. I showed them a 3 bed 1930s semi off Coleridge Road, a lot smaller than theirs but a similarly nice area a similar distance to work and town. We sold that house for a bit over £625,000. The value of their bigger version in Leicester? About £225,000. A lot of the people relocating are likely to be highly qualified and well paid, but there will also be those on good but normal wages – lab technicians, administrators that sort of thing and bridging a £400,000 gap just isn’t an option. Because of this employers are having to be very generous to tempt people to move here. Many will pay all of the moving costs, buy in employee’s current houses to make it easier for them, even give six-figure interest-free loans to soften the blow. It’s a huge expense for the employer, but they clearly think it’s worth it to come to our fine city. So that helps a bit. It helps soften the financial blow at least and although lots of staff will see the upheaval of of the move as a chore others will see it as an exciting opportunity. More than one young couple I saw on the day were thrilled about the idea. The only thing none of them could get their head round is that nowhere is 10 minutes drive from Tennis Court Road. Firstly because there are no parking spaces at their new location, so you can’t drive even if you wanted to, secondly because no matter where you start from in Cambridge it takes a lot longer than 10 minutes to get anywhere during rush hour. The solution is, of course, a bicycle, everyone in Cambridge knows that, but what we forget is that most adults elsewhere in the country haven’t ridden a bicycle since they were a child and they look at you funny when you suggest it. Like your winding them up. The White Sock estate agent is young, brash, slick and has a penchant for pointy shoes and expensive hair products. What they lack in experience they make up for in enthusiasm and sweet selling skills. They’ve sometimes been to as many as 2 training courses at a hotel in Milton Keynes and their Audi hatchback corners faster than any other car on the road. They look up to the Expensive Suit, but down on the Beige Chino. Like some sort of rubbish Pokemon the Expensive Suit is an evolution, rising out of the White Sock. After 5 or 10 years of knocking on doors and delivering leaflets they’ve progressed within the trade and become quite successful. They’re now in charge of an office, sometimes as an employee and sometimes running their own company. They now have an Audi saloon with big alloy wheels and Bluetooth. The Expensive Suit occupies arguably a pleasing middle ground in the hierarchy. They still have some of the enthusiasm of the White Sock, but without the brashness, and have much of the experience of the Beige Chino, but without the golf. 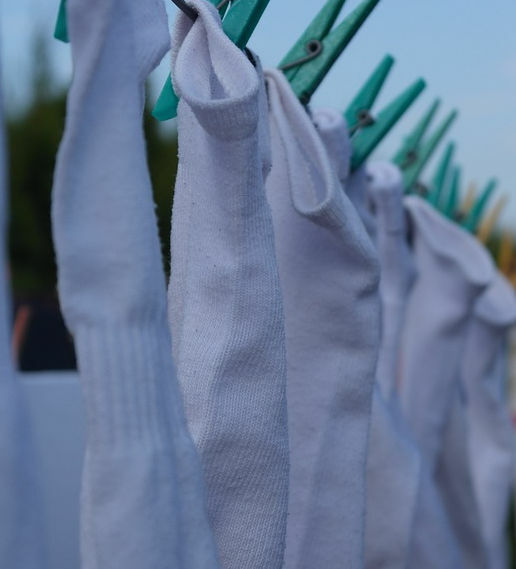 They look back at the White Sock with a certain amount of fondness and have mixed feelings about the Beige Chino, in some ways thinking it might be nice to eventually get there, in others worried that doing so would surely signal the end of their youth. The Beige Chino can be an evolution of the Expensive Suit, but can also come from a completely different place to the other two. If it’s an evolution, it’s one that the agent slowly slips into some time after their 45th birthday, around the day they pick up a golf club. As the waist expands the sharp suit makes way for the more comfortable pleat-fronted trouser. The work rate drops and the time off rises. And why not? By this time the estate agent has earned this chance to enjoy life a little more. Their experience is long, their wisdom great and their clients can learn more from them in a 3 day week than the other two could provide in 6. The Audi saloon wells into an estate or even one of those whopping 4x4s that don’t quite fit in the Waitrose car park spaces. The second form of Beige Chino has not risen through the ranks, but has landed in the comfortable trouser by breeding or by marriage. This is a slightly different class of estate agent. The lunches are as long, but the Audi is out and the Land Rover is in. For the most accomplished the beige trouser can be dropped in favour of a deep red. Or even salmon. But a chino it remains. This agent often has actual professional qualifications and an air of confidence that the evolved chino wearer can’t quite match. Respect is commanded. Both Beige Chinos are thoroughly comfortable in who they are, they need not look down on, up to, or sideways at the White Sock or Expensive Suit as they’re above all that. They’re plotting a gentle course over still seas to the warm waters of retirement and they’re very much enjoying themselves. Of course I’m not like any of those estate agents, I transcend the three categories above, combining the best elements of all three and avoiding the worst. 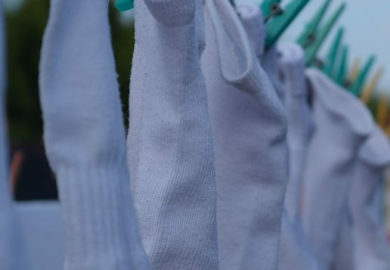 I only wear white socks when the sport demands, I don’t go in for expensive suits and as far as I can recall have never owned a single pair of chinos. I am a unique and beautiful snowflake. I don’t even have an Audi, although the way the indicators on the new ones whizz from side to side a bit like the light on the front of KITT is quite cool. 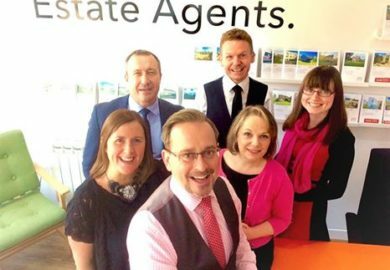 Daniel Plumb (back left) joined the warm embrace of Cooke Curtis & Co a few weeks ago and comes with around 20 years of local, regional and international estate agency experience. He’s actually the only one of our team that’s worked further than 15 miles from Cambridge, having done brief stints in Bishop’s Stortford and Dubai. 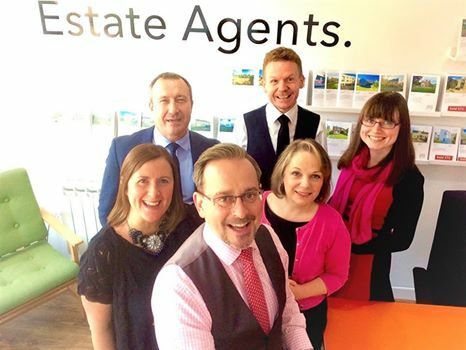 Bringing Daniel on board has been vital for us to ensure we maintain our client care and ensure all of our clients are looked after throughout the entire sales and lettings process by experienced team members. We’re very pleased to have him with us. Daniel has had a lot of experience in the villages between Saffron Walden and Cambridge so if you’ve something to sell in that area he’s likely to be who you will meet.